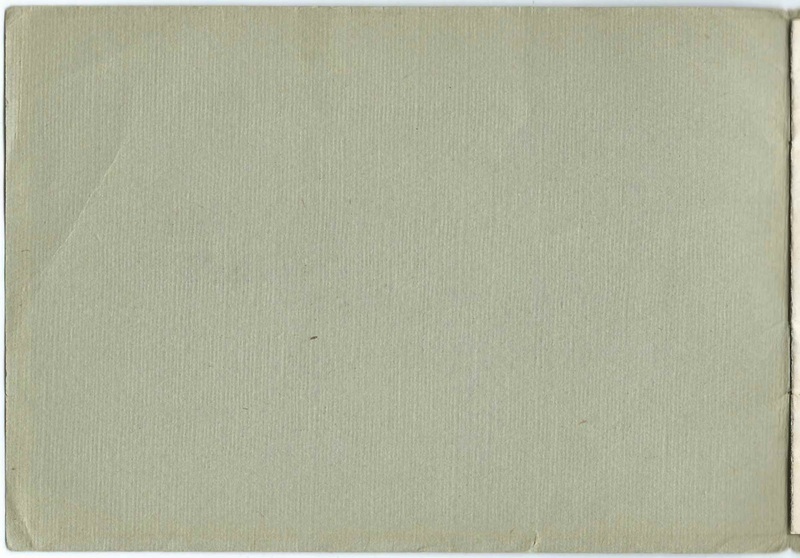 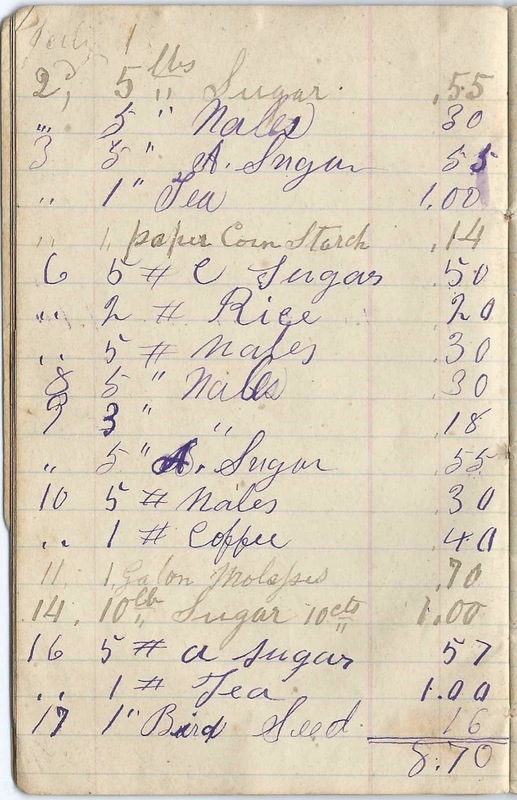 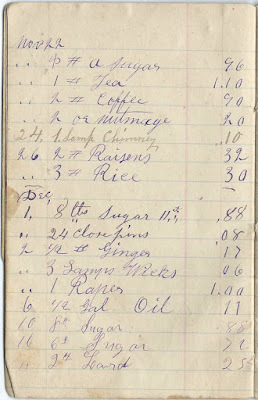 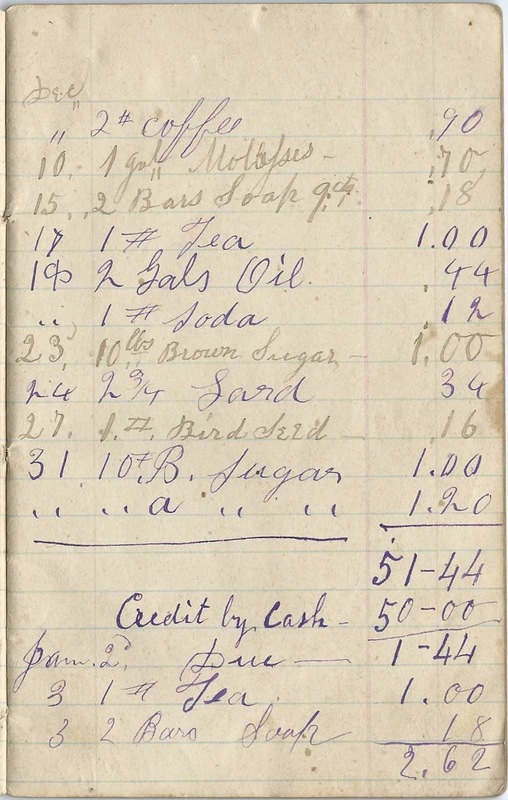 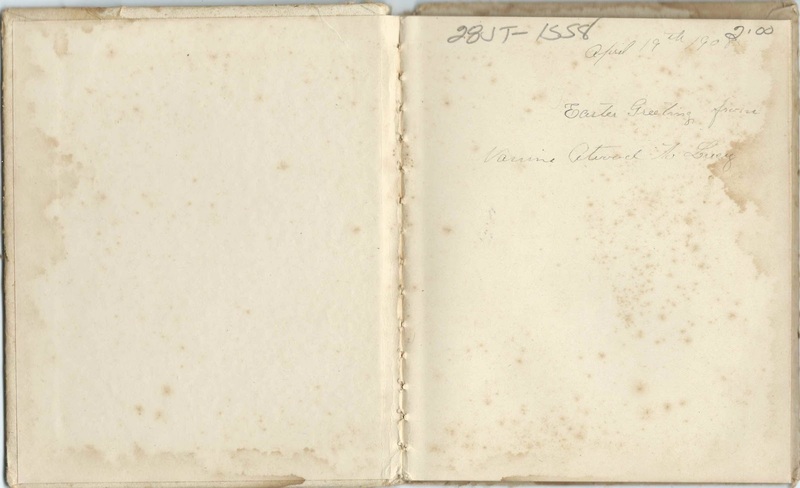 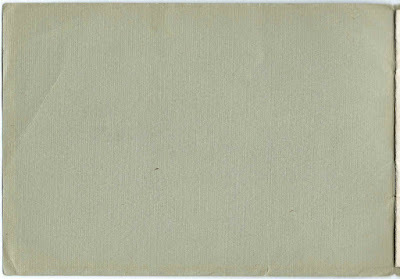 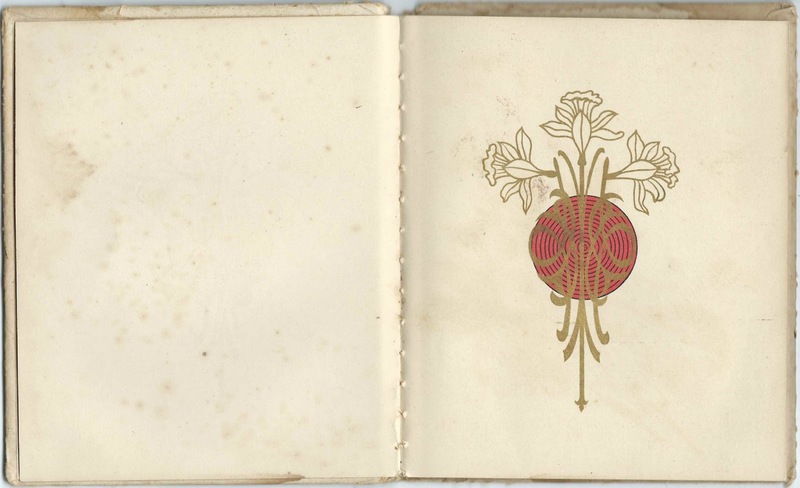 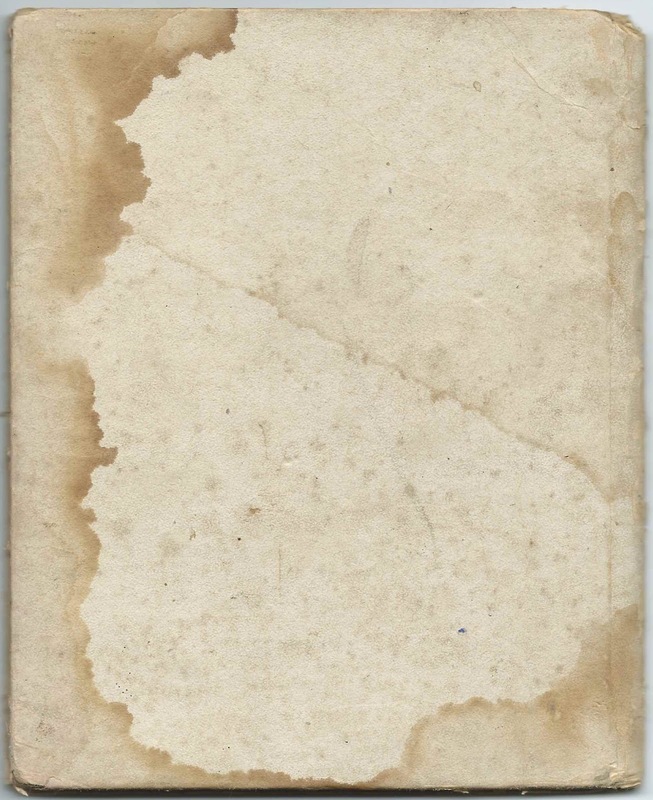 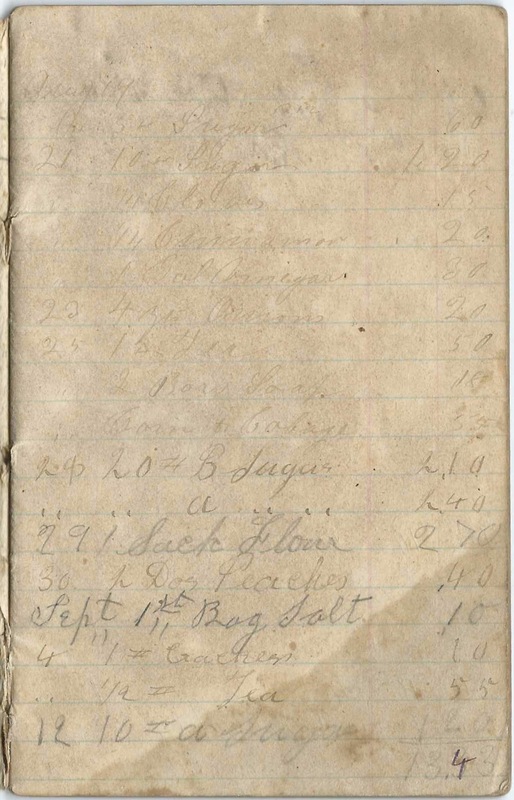 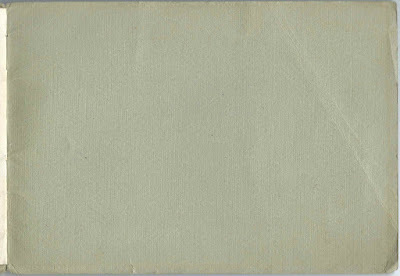 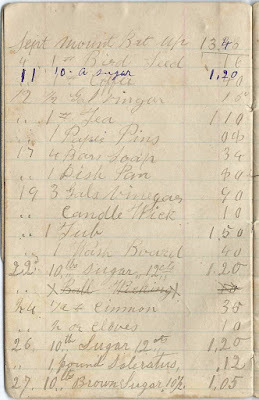 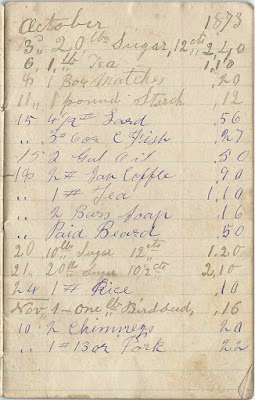 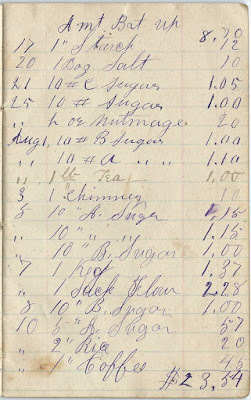 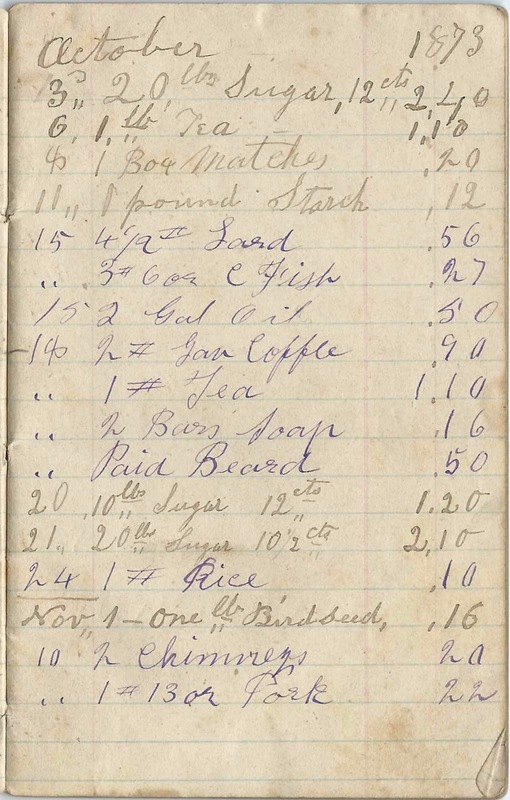 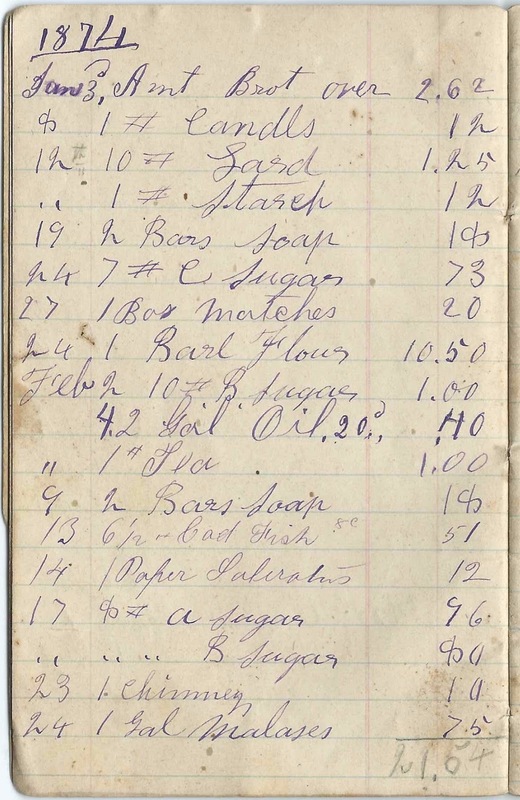 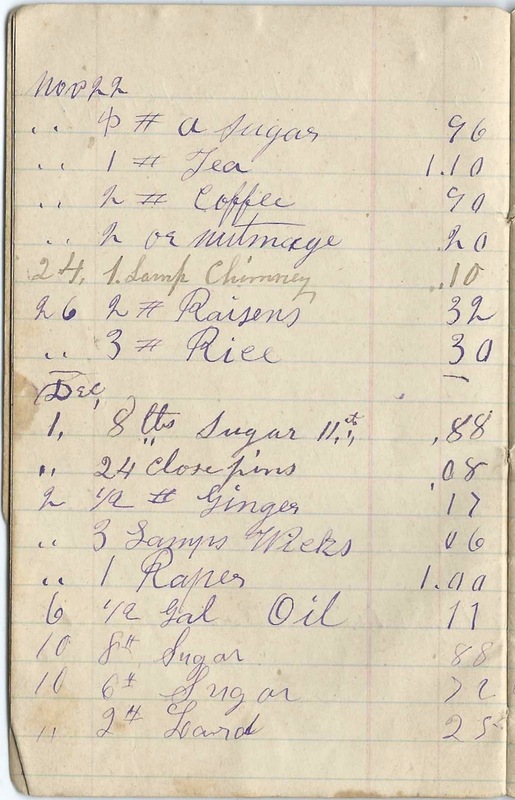 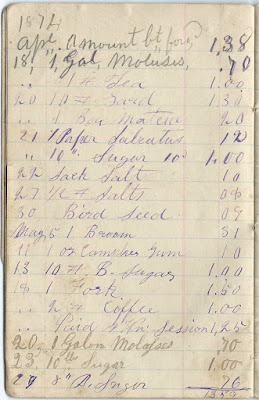 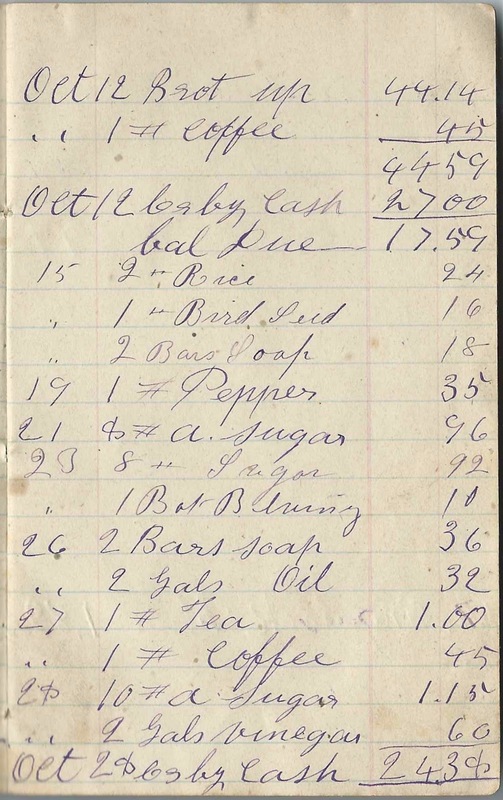 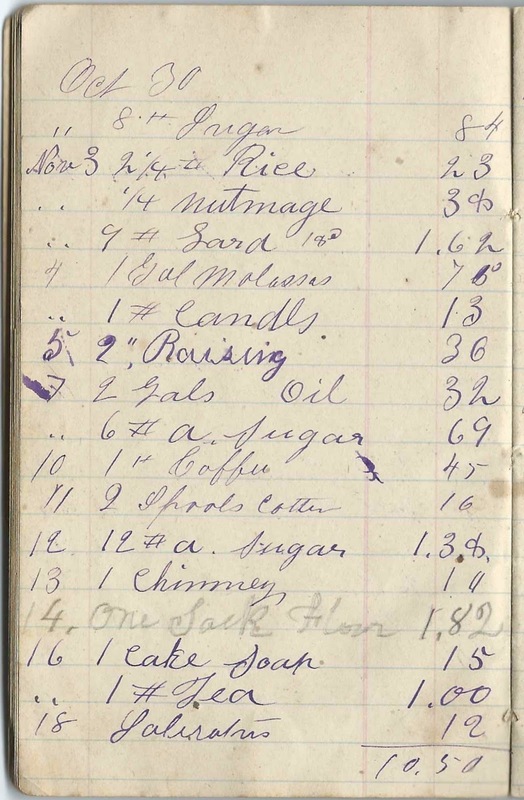 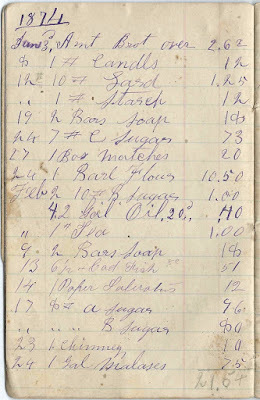 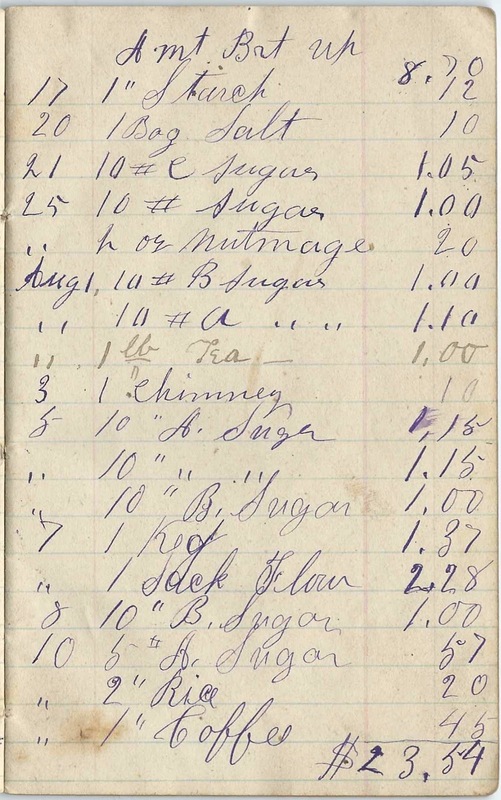 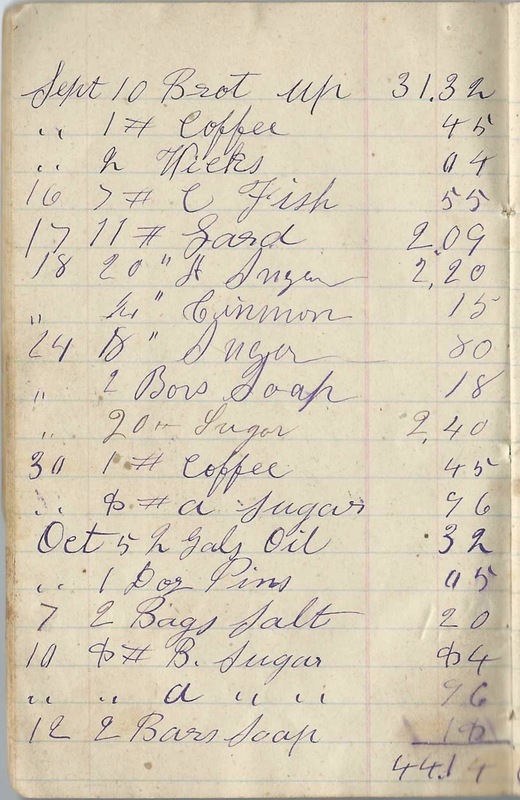 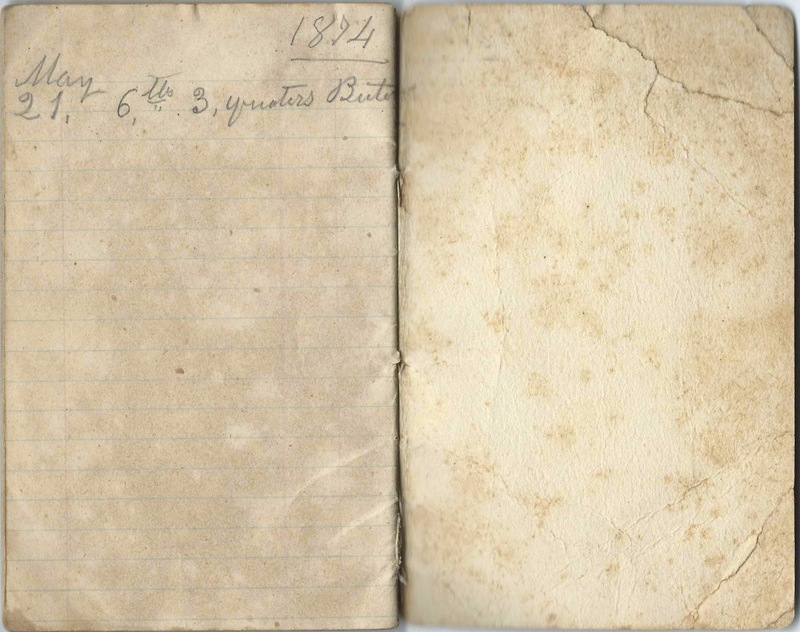 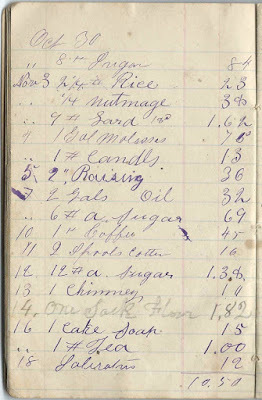 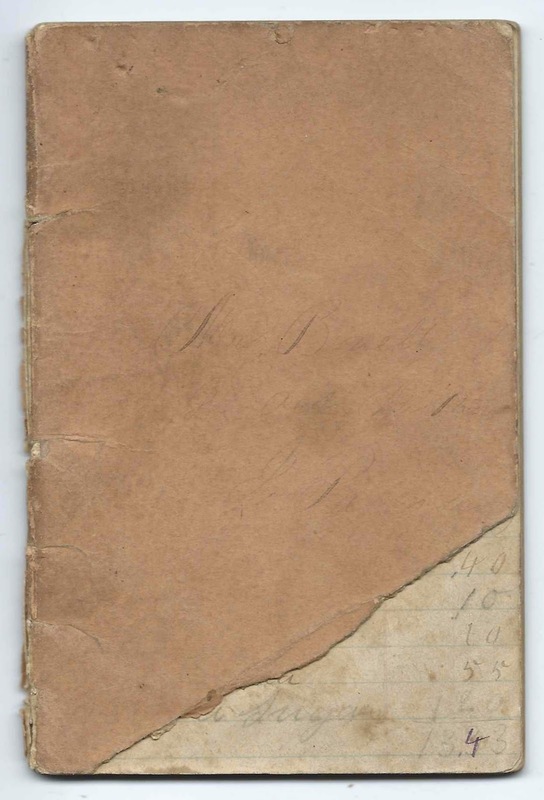 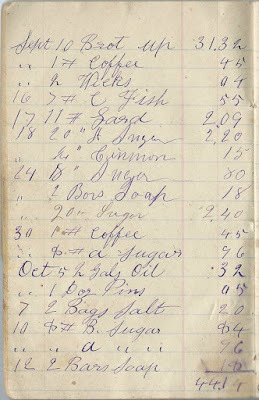 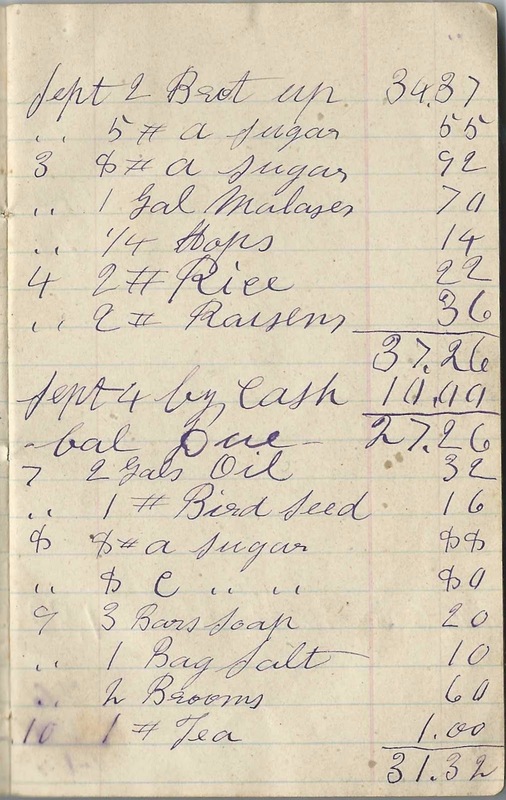 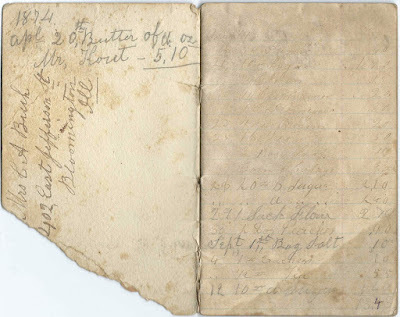 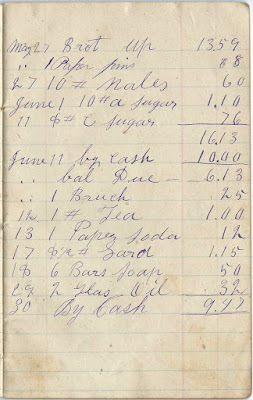 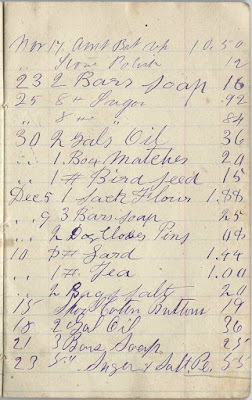 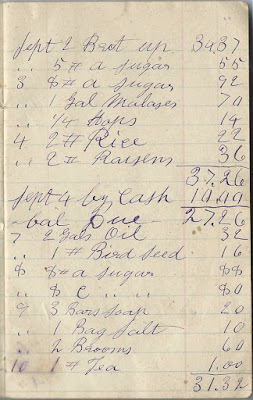 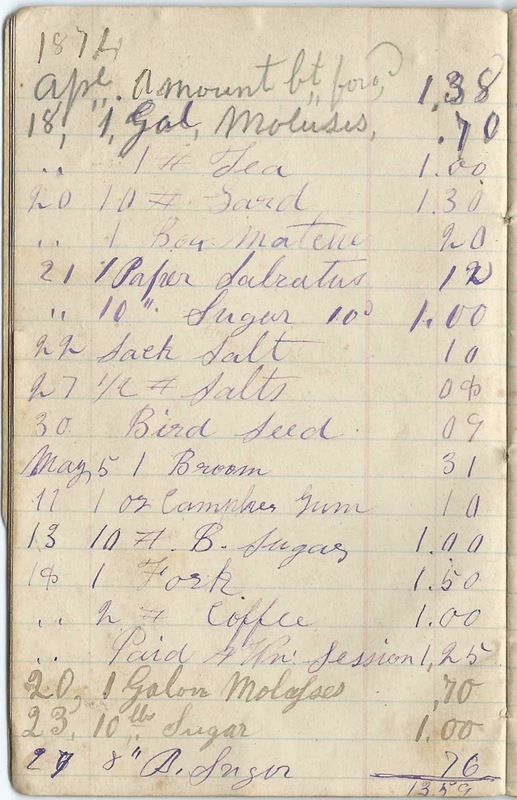 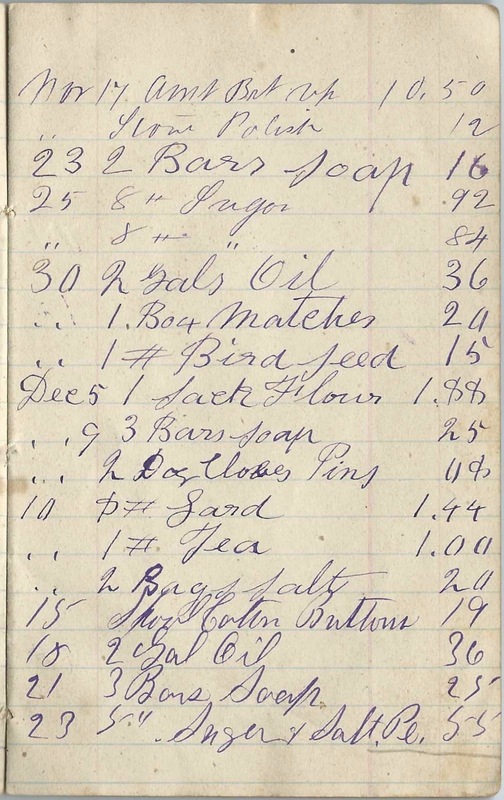 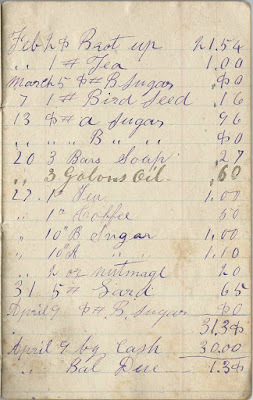 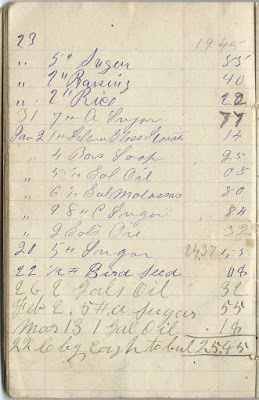 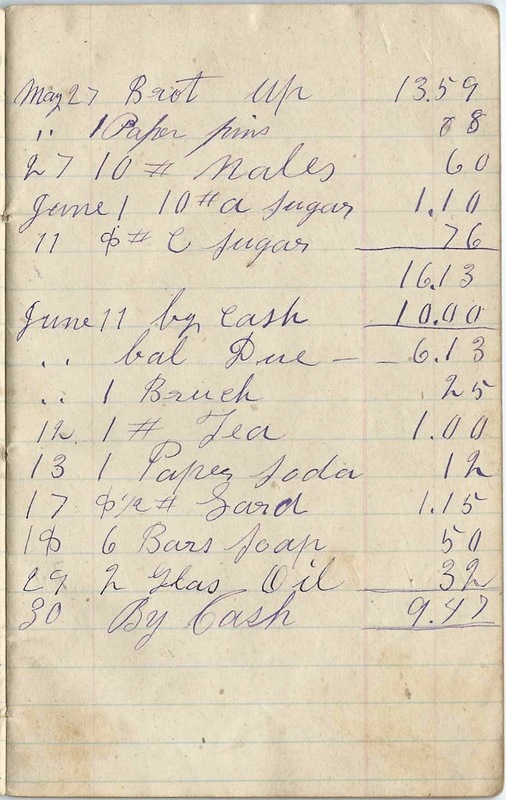 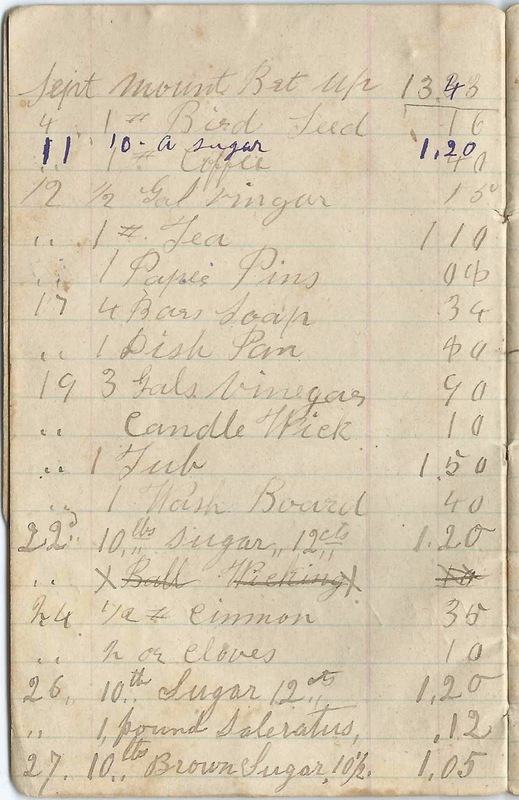 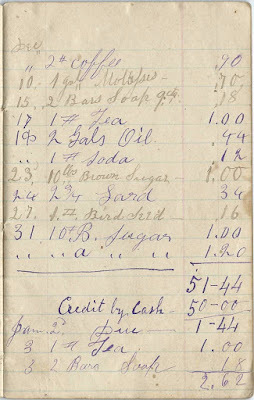 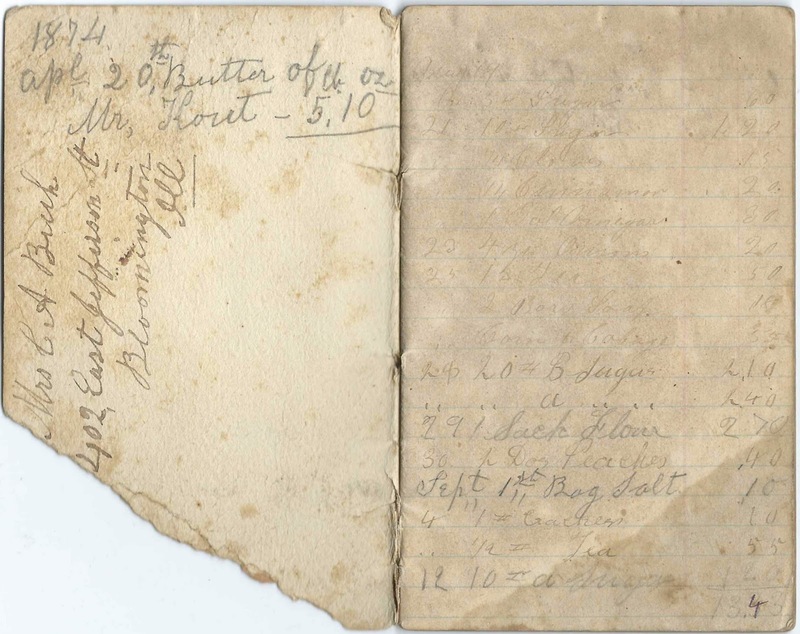 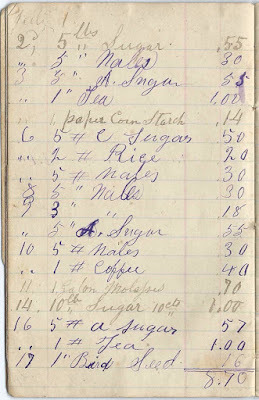 Small account book, approximately 5-3/4" by 3-1/2", that apparently belonged to a homeowner or boarding home owner, as the supplies purchased were mostly related to kitchen and home. 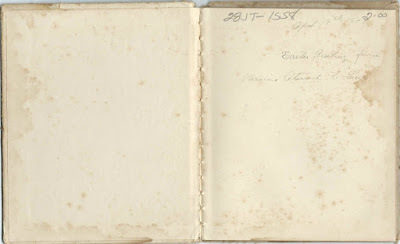 Images of all pages with handwriting appear at the end of this post. 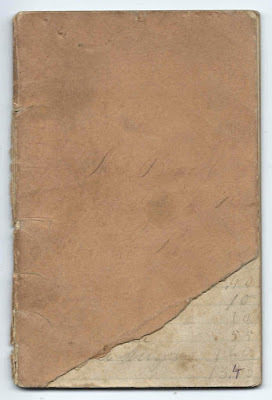 The front cover has some handwriting but is very difficult to decipher. 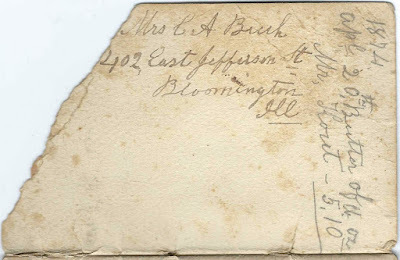 There appear to be two names, Mrs. Buelt or Buell or Bonelt or variant in account with J. Parker or Palmer or longer surname. 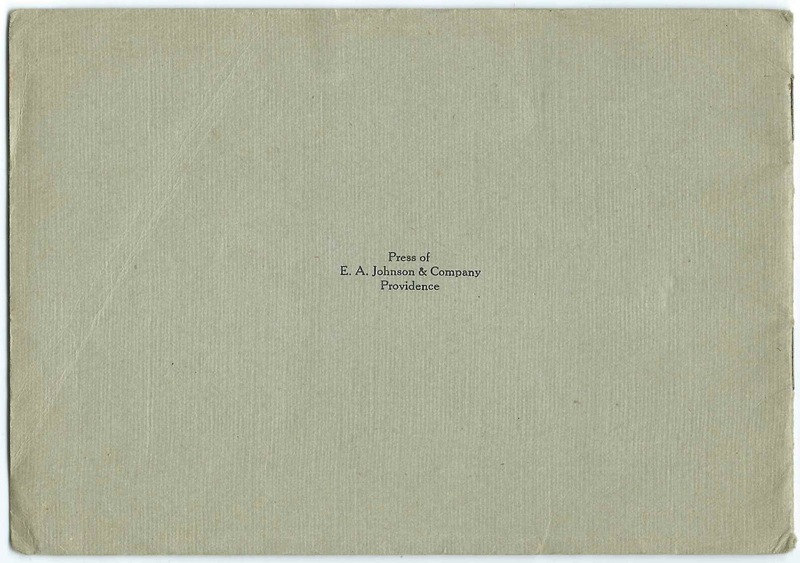 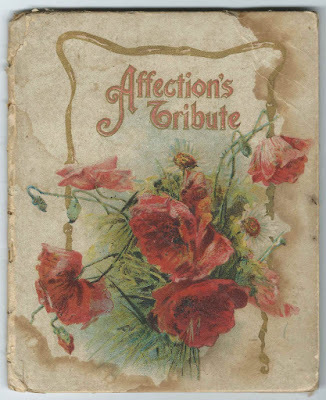 The inside front cover has another name, Mrs. C. A. 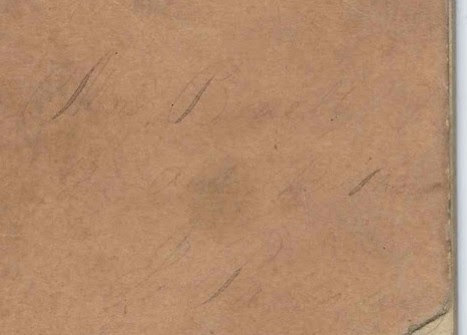 B ?, in what appears to be a more contemporary hand, but not necessarily, perhaps that of the owner or relative or friend. 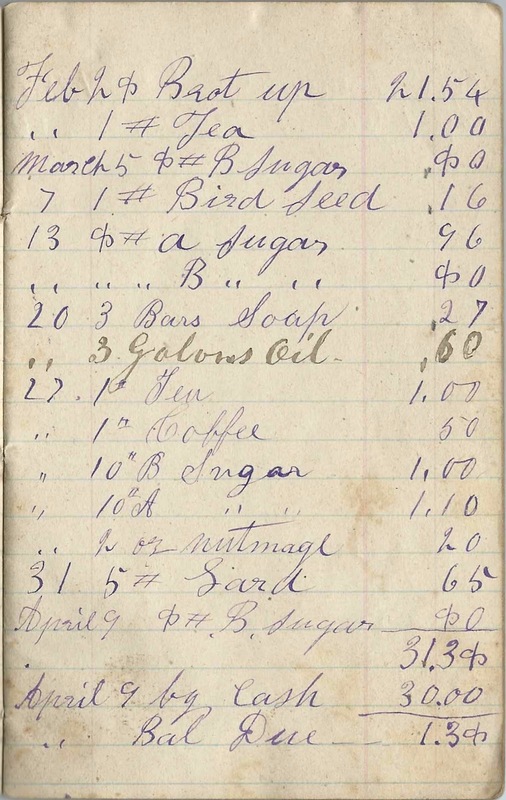 Whether or not the account book owner lived at Bloomington, Illinois, I don't know. Nor do I know if the initials refer to herself or her husband. 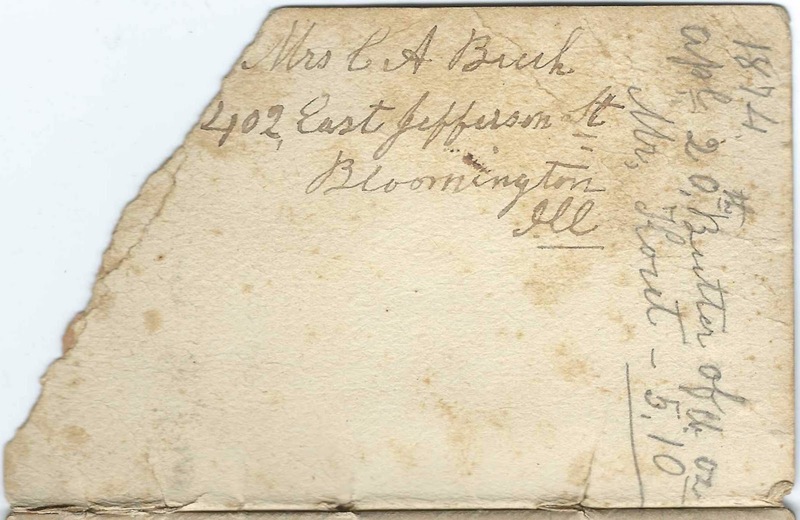 Interestingly, a fellow family historian has found that there were several men named C. A. Buck in Bloomington, Illinois during the time frame of the account book and after. 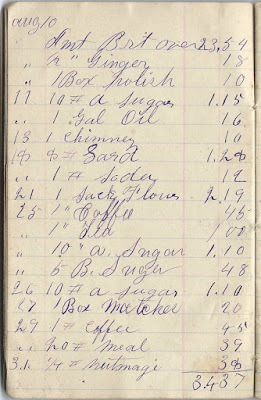 If any of these names, or attempts at names, rings a bell with you, please leave a comment or contact me directly. 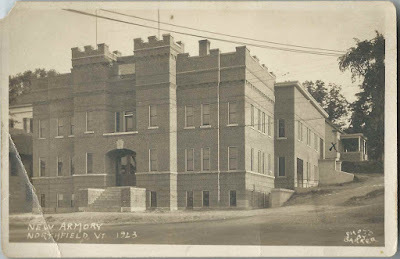 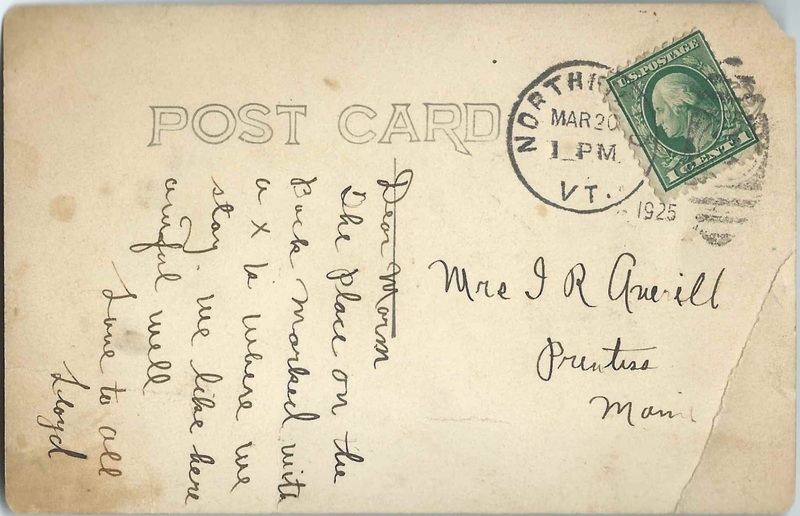 A postcard showing the "new" Armory at Northfield, Vermont, sent in 1925 by Lloyd Dunn Averill to his mother Rebecca May (King) Averill of Prentiss, Maine. 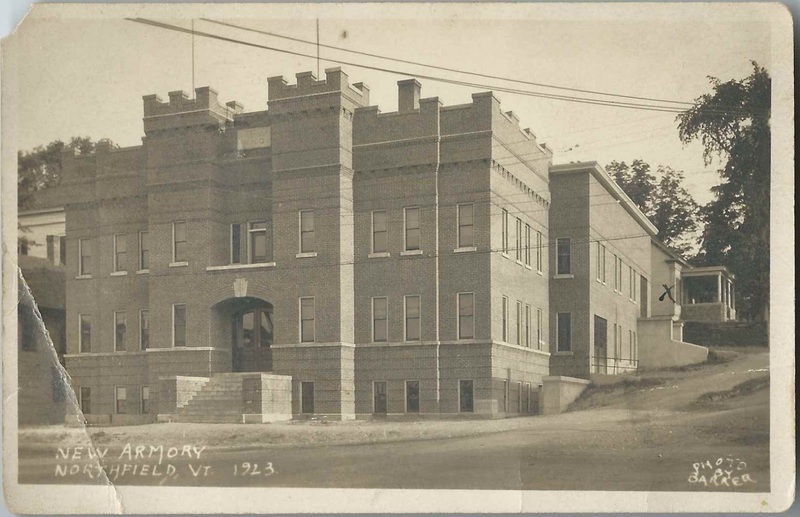 Lloyd placed an X on the armory to indicate "where we stay". 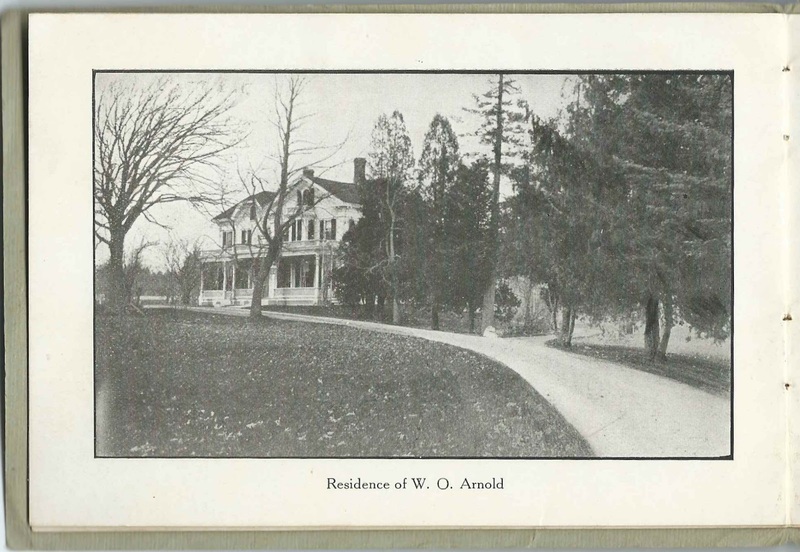 Lloyd Dunn Averill was born May 17, 1902 at Prentiss, Maine, the son of Ira Ralph Averill and Rebecca May (King) Averill. 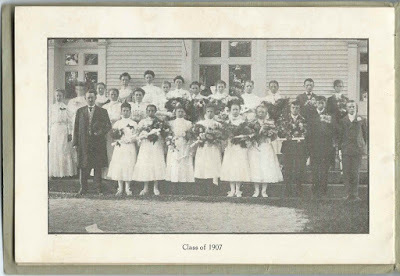 On September 27, 1924 at Brownville, Maine, Lloyd married Addie Bernice Gould, daughter of Frank I. Gould and Bertha (Jones) Gould of Brownville. 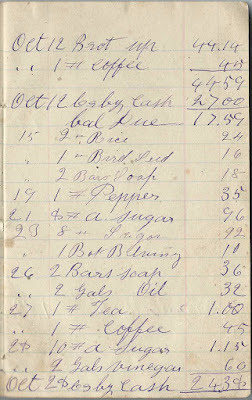 Addie was born May 15, 1908 at Brownville. 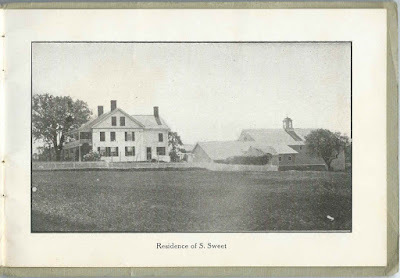 Lloyd and Addie made their home at Brownville and had, I believe, two children. 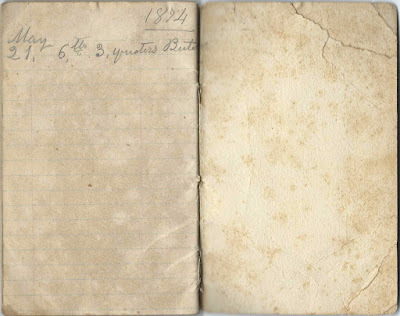 Lloyd was an electrician. 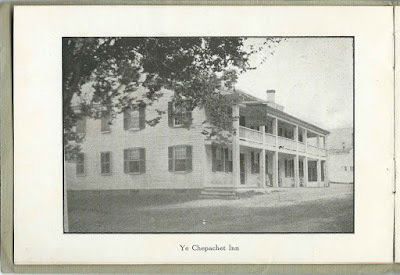 How Lloyd happened to be staying at the Armory at Northfield, Vermont, I don't know. 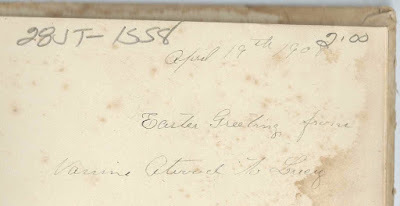 He mentions "we" - was Addie staying with him? 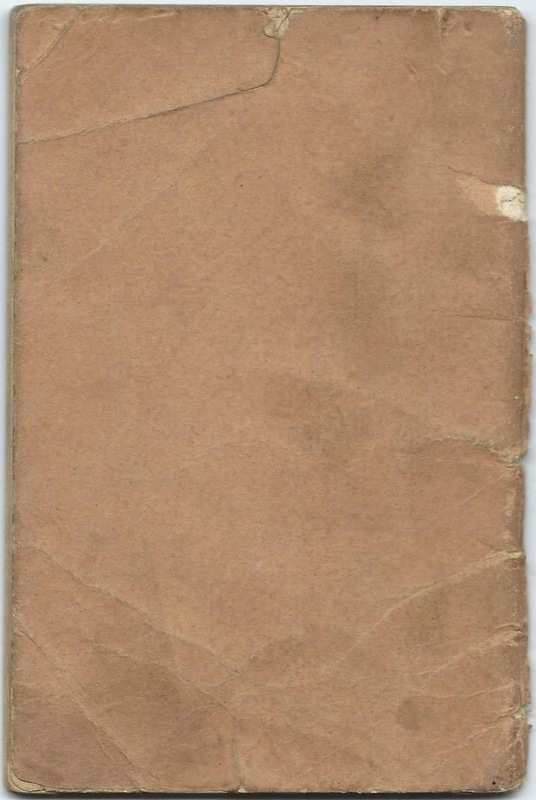 Or was he serving in the reserves and away on training with his mates? 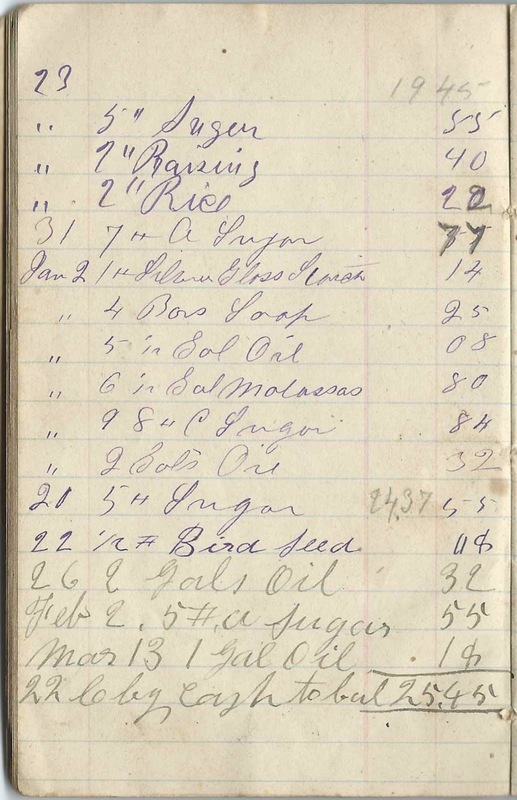 Was it employer training that brought in workers from all over? Many people found themselves at Brownville, Maine, as a result of railroad employment. 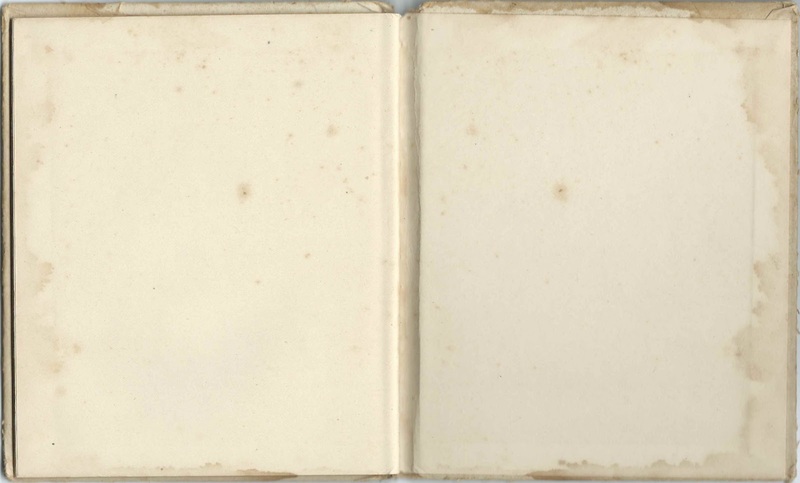 This may have been the case with Lloyd as well, which presumably explains how he and Addie came to meet. Perhaps he was then working for the railroad in 1925 and was in Vermont for additional training. 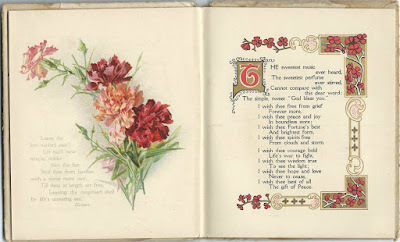 Lloyd died in 1944; read his obituary here. He and Addie, who died in 1995, are buried in the Brownville Village Cemetery at Brownville, Maine. 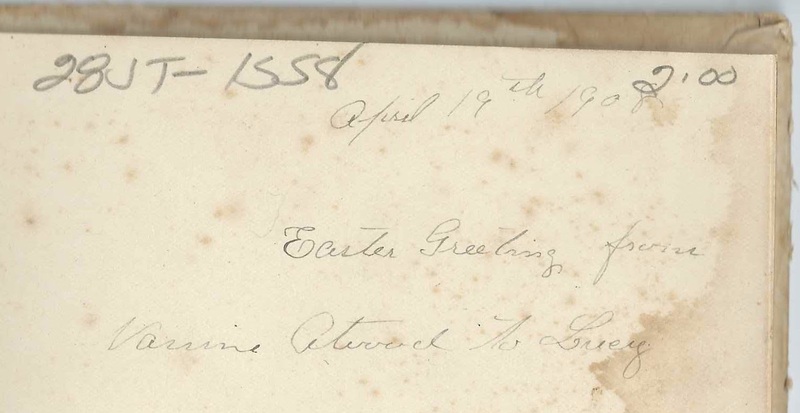 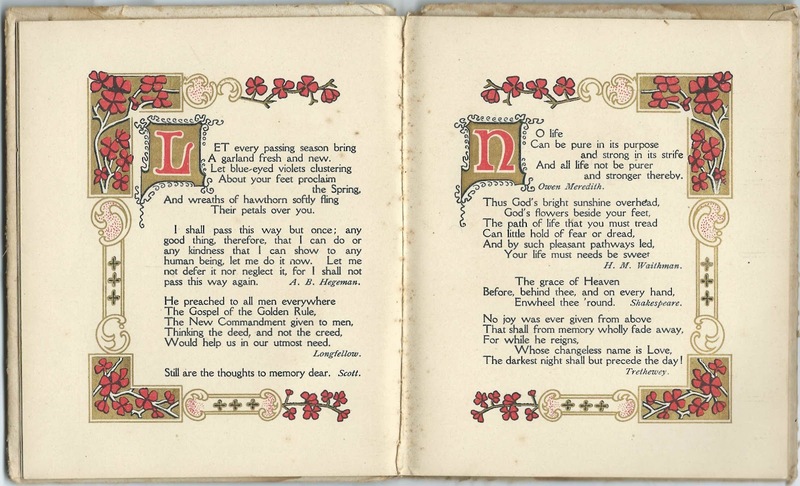 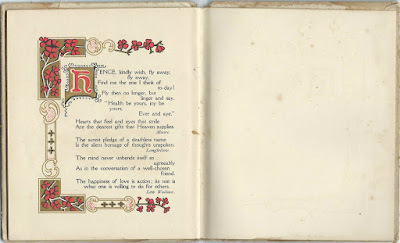 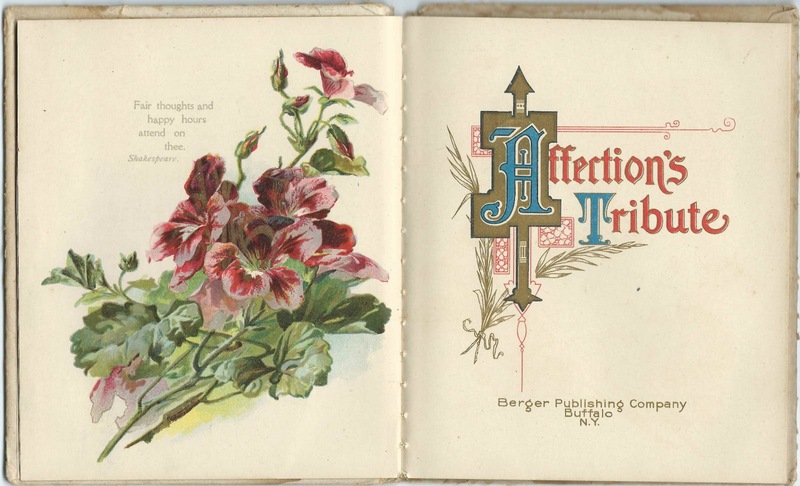 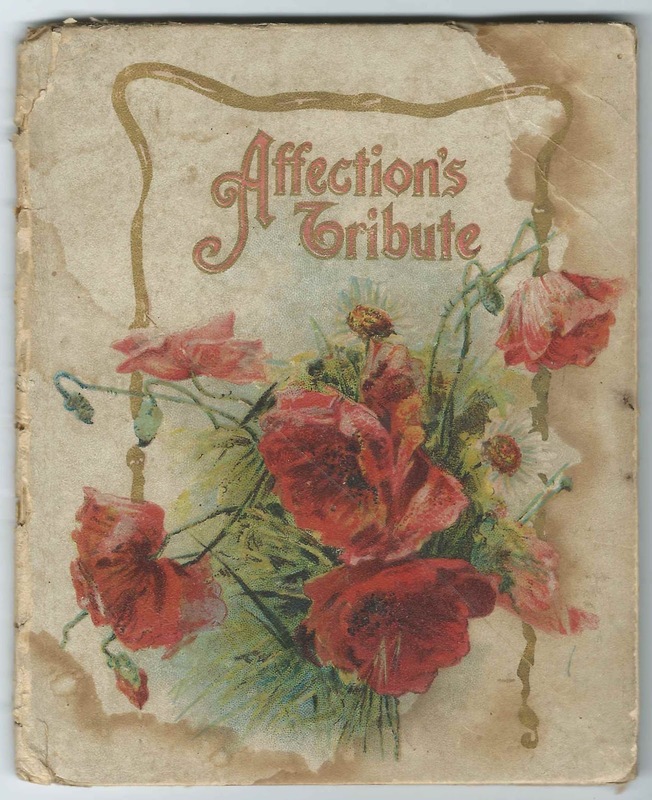 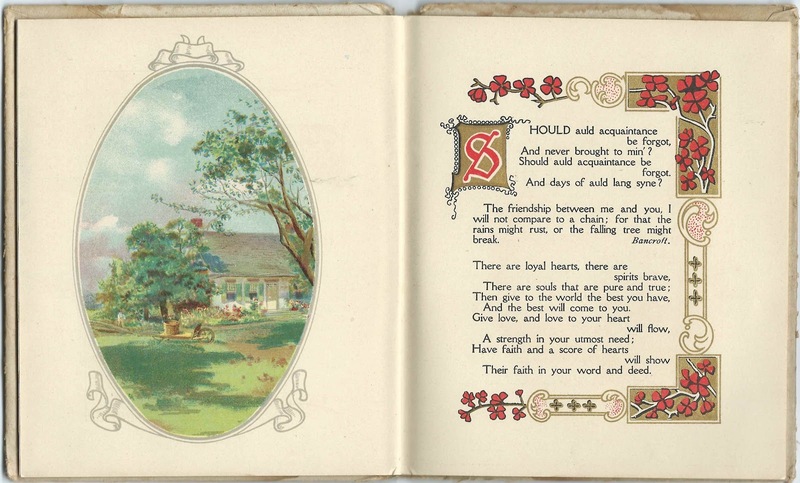 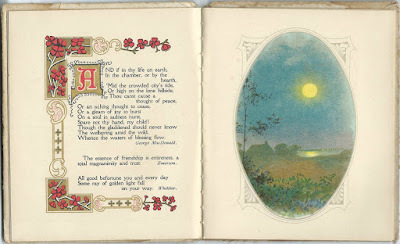 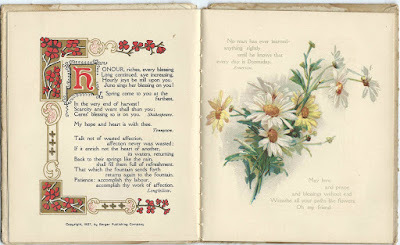 Beautiful little book entitled "Affection's Tribute" that was presented as an Easter greeting by Lucy to someone whose name looks like Nannie Atwood, but could also be Vannie Atwood or something else. Your interpretation is greatly appreciated; please leave a comment or contact me directly. 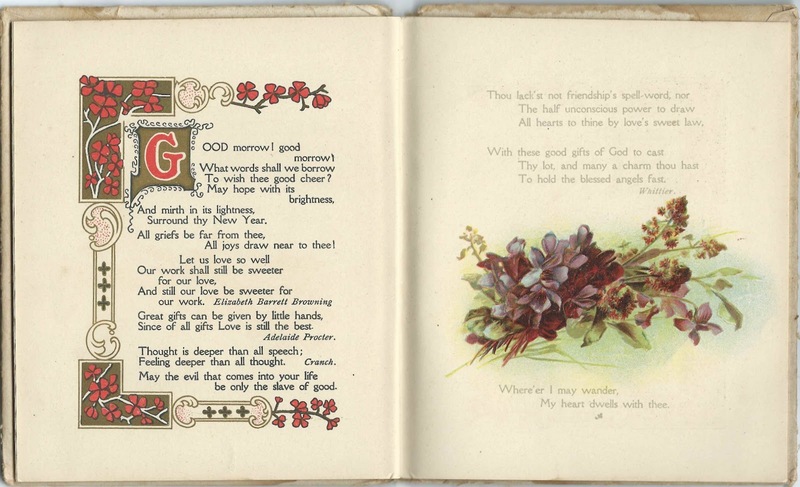 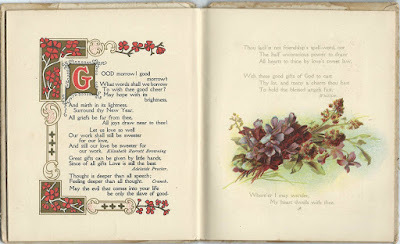 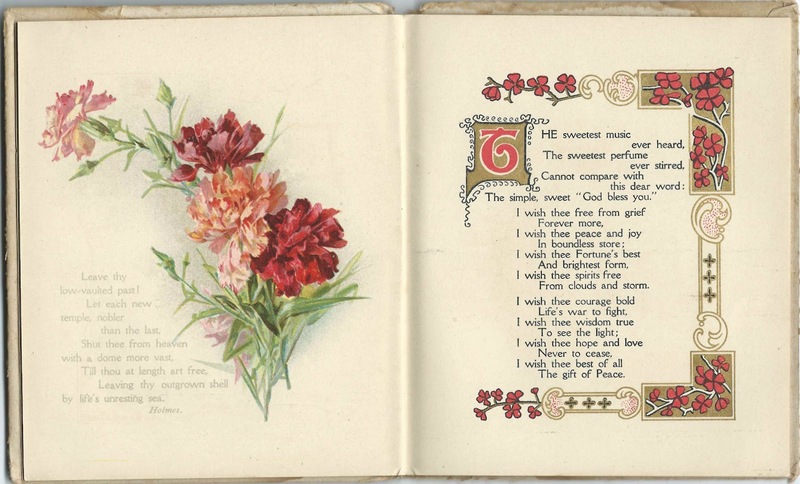 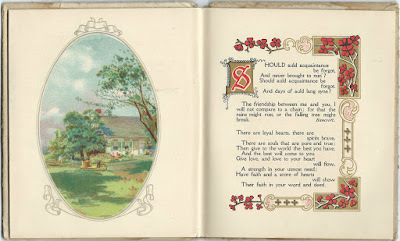 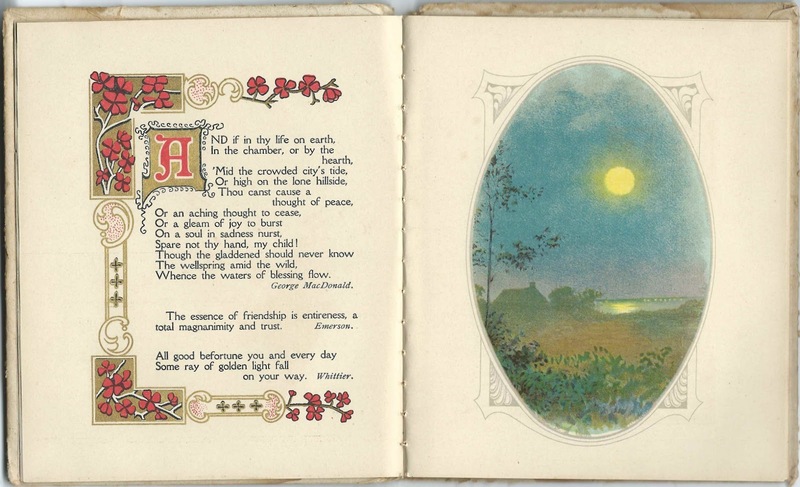 The book was published by the Berger Publishing Company of Buffalo, New York and contains poems and passages beautifully illustrated. 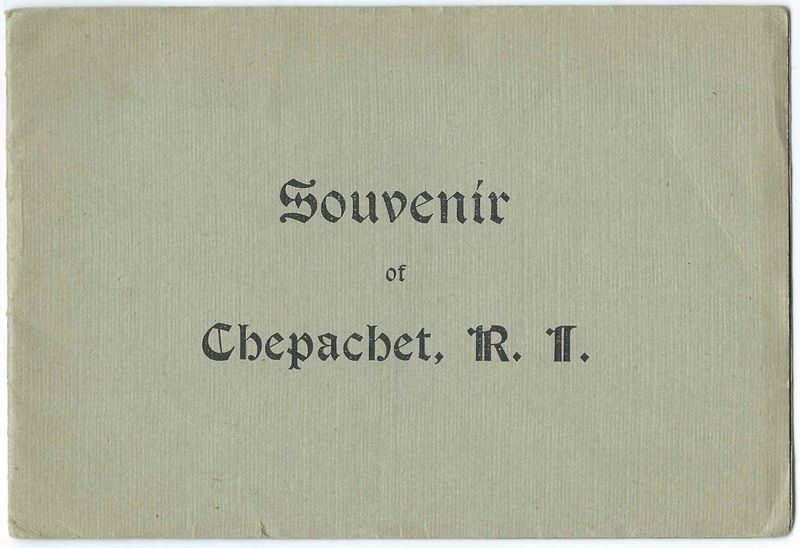 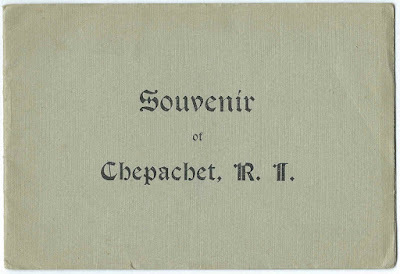 Souvenir of Chepachet, Rhode Island. 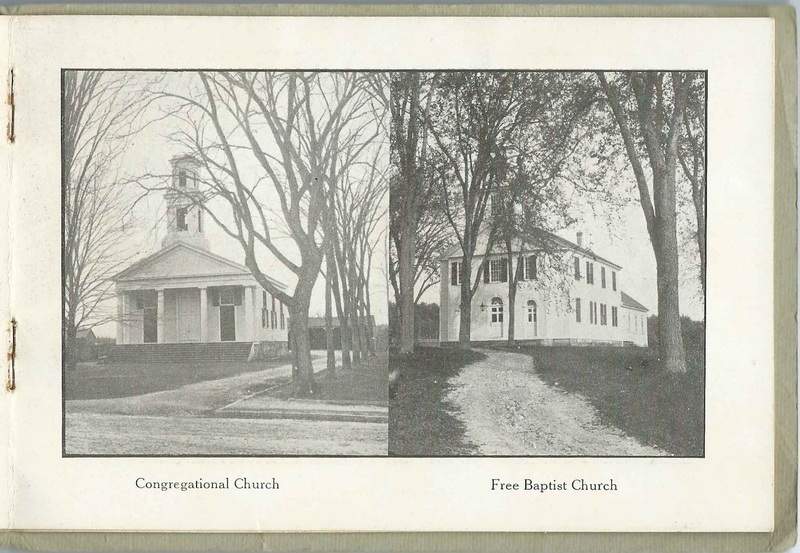 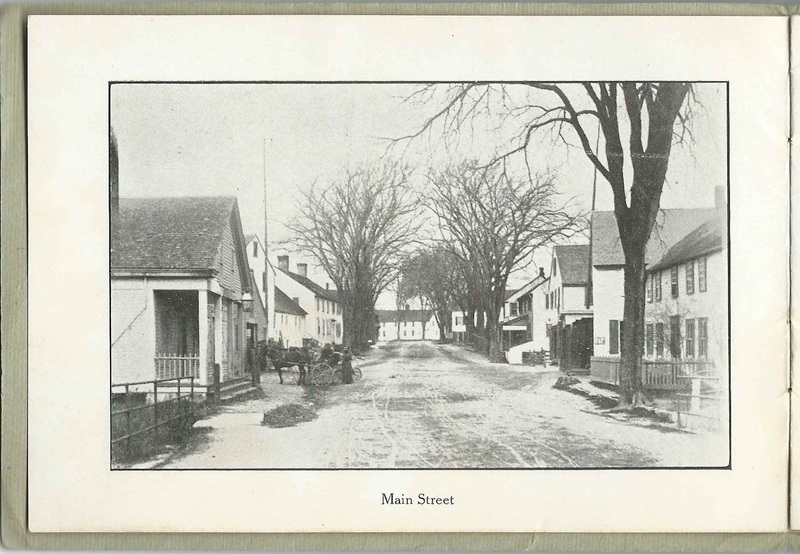 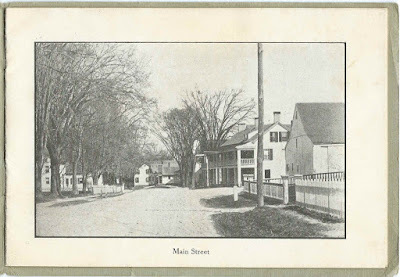 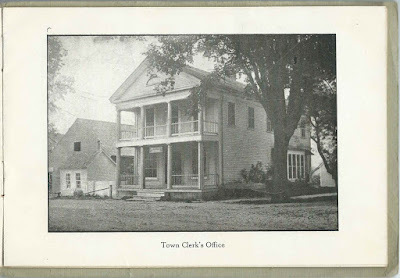 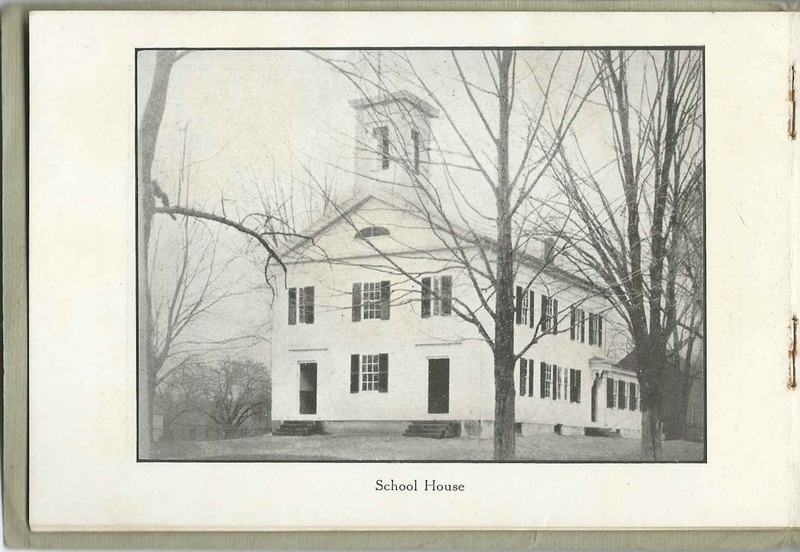 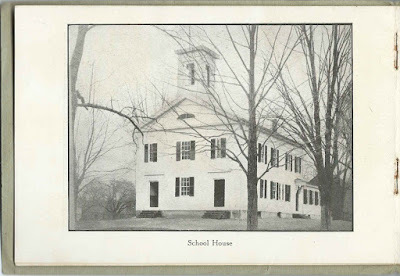 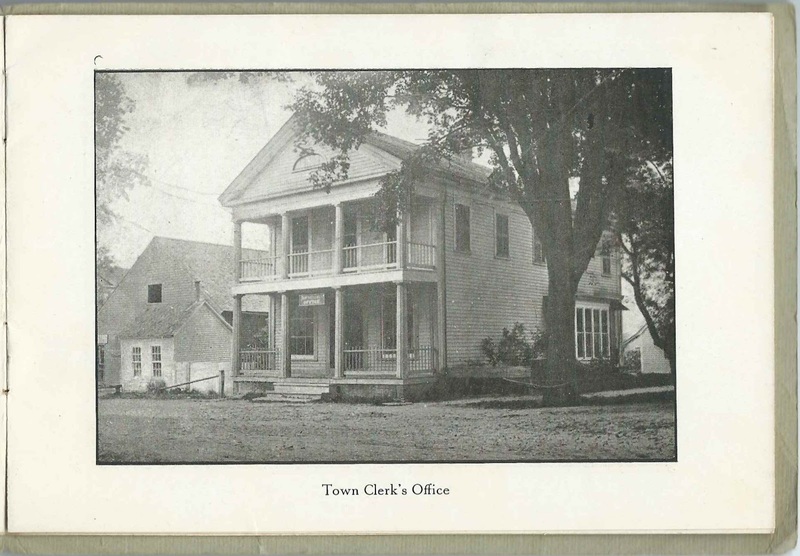 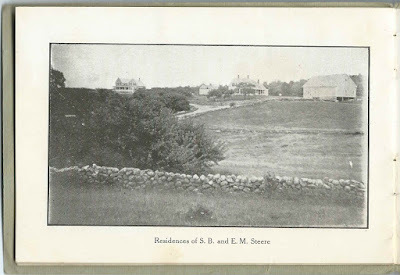 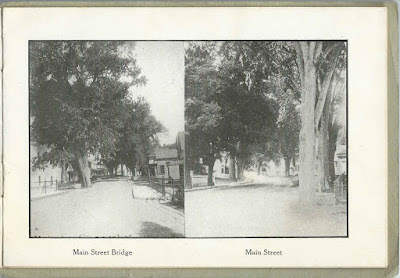 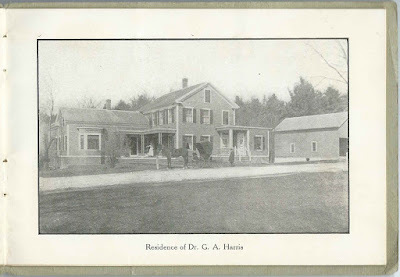 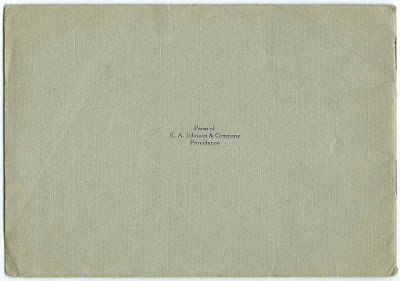 The booklet measures approximately 6-1/4" by 4-1/4" and contains photographs of different scenes of Main Street; Ye Chepachet Inn; schoolhouse; churches, residences; and the Class of 1907. 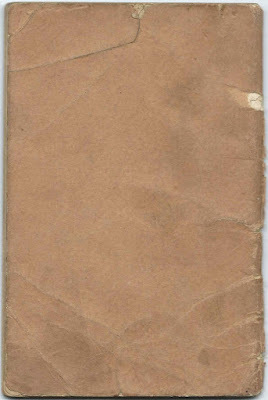 Measures 6-1/4" by 4-1/4". 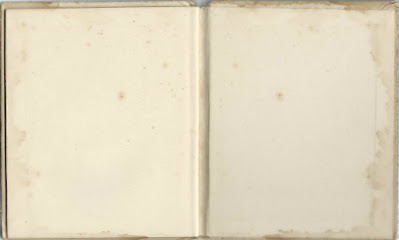 See all of the images, in order, at the end of this post. 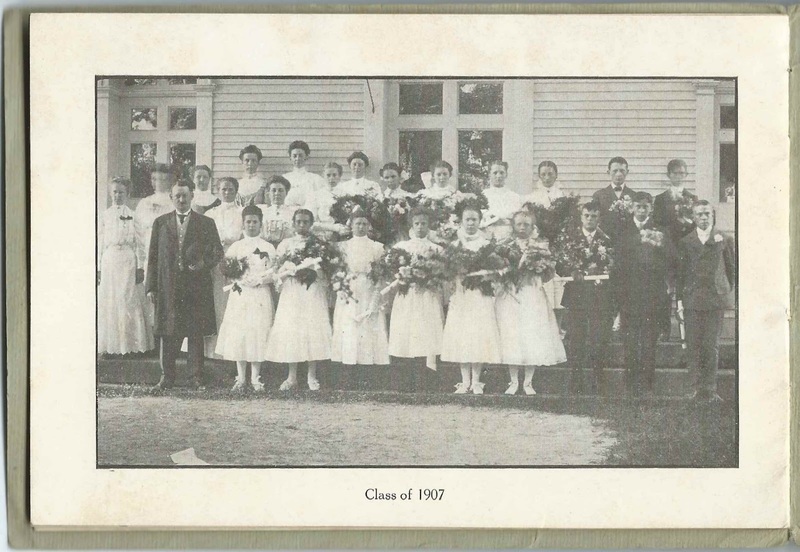 Hopefully a reader has a copy of this photograph and will provide a complete or partial identification.